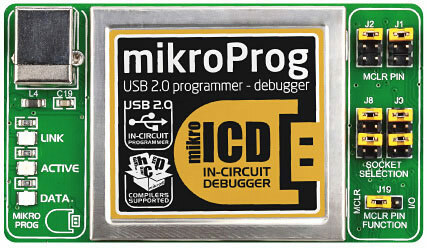 EasyPIC v7 is the seventh generation of MikroElektronika famous PIC development board. It is the product of accumulated knowledge over the past 10 years, and it’s state of the art of design, function, lity and quality. It is loved by beginners and hobbyists, as well as professionals, and used in education and development by thousands. Board comes with PIC18F45K22 device.